Restoration services include two options; pressure washing or applying a chemical cleaning solution. Lastly, applying a treatment finish [solid acrylic waterborne stain or a semitransparent oil based stain] to revitalize an older fence to extend its usefulness verses the cost of replacement . Restoration is very different from repairs meaning that restoring an existing fence may not require replacing any pickets, rails ,or posts of an existing fence. Consider restoration more like restoring an old classic muscle car prepping the frame and then finishing with a stain-n-seal solution paint job! 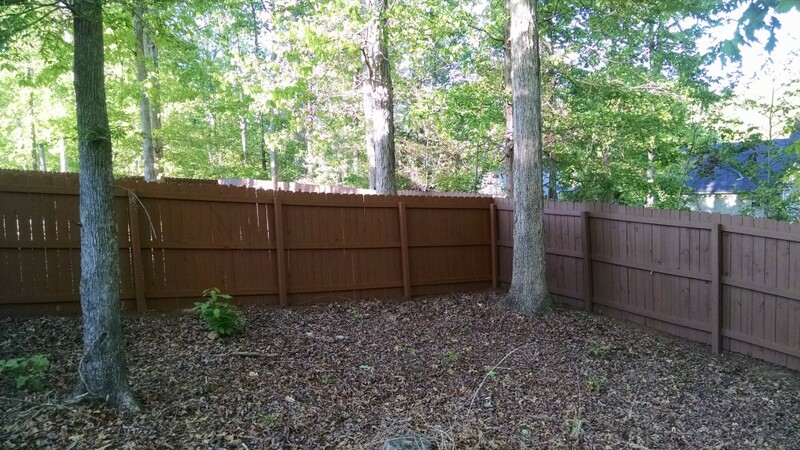 How do I know if I need a fence restoration? What is the value in getting my fence restored by Stain-N-Seal Solution? planning with one of our project managers. In some cases this process requires pre-cleaning the entire structure of harmful elements that would prevent the structure from being ready to receive the treatment. Taking methodical steps only ensure that our solution will have increased odds for better penetration and protection. Restoring a fence can be a lot of work; in many cases, years of owners’ neglect can cause irreversible damage, and some sections or the entire fence may need to be replaced. We approach each project differently. The task of restoring a fence could require finishing what you have already started. Removal (stripping) of an existing product recently applied and removal of a recently applied retail stain is labor intensive and expensive; in some situations, it may be more feasible and cost-effective to actually replace the sections of wood. After the project area has been prepped for treatment, we suggest color options based upon best practices and experience. Older structures cannot receive light colors such as honey. In many situations projects being restored will require applying a darker color to mask the age of the wood.